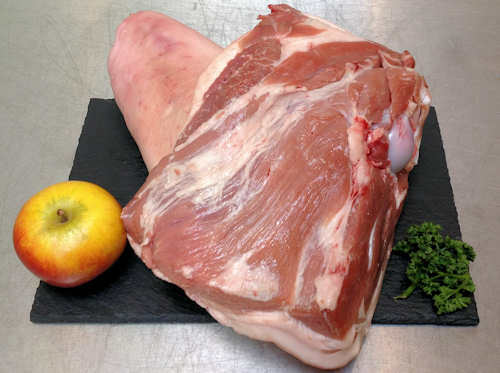 Today's pig industry has its origins in 6000 years of farming.Throughout this period the pig has been a valuable farm animal that has consumed waste products, fertilised the ground and provided an efficient source of meat production. In the countryside it was always traditional for householders to keep pigs in their back gardens but this practice was outlawed and pigs are now only kept in a farmed environment. 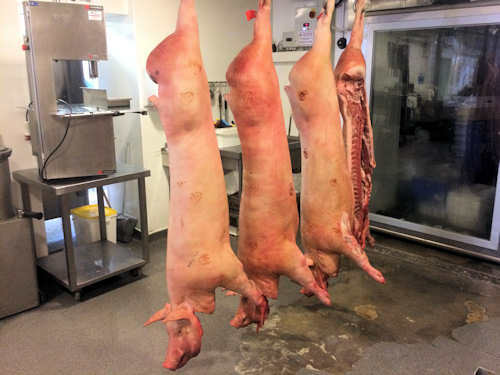 In the last few years cheap imports of pig meat from abroad (the £ sterling has been strong against other European currencies) have undermined the British pig industry. In addition, the costs of production in the UK have risen markedly as UK farmers have had to comply with welfare legislation that is not in force elsewhere.These factors have contributed to a significant contraction of the national pig industry. 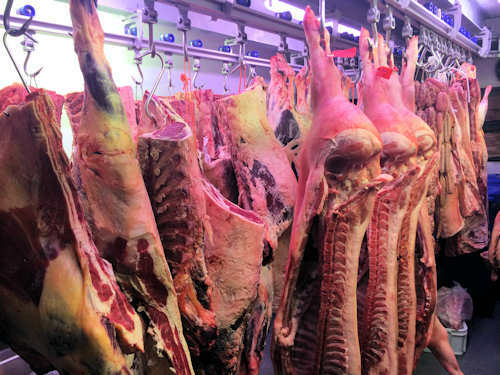 There are hundreds of meat products made from the pig which range from sausages to cured meats and fresh pork products. 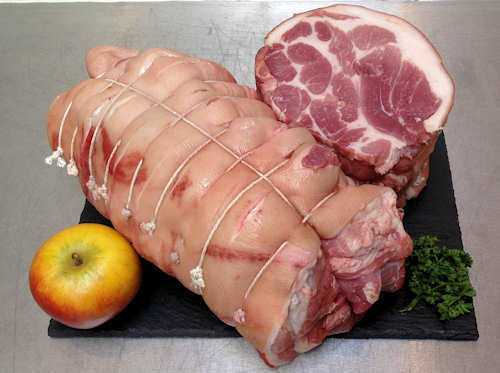 In the year 2000 the UK was 93% self sufficient in the fresh pork market whilst in the bacon and ham market it was less than 50% self sufficient. If anything approaching self sufficiency is to be achieved, UK producers will need to find ways of overcoming the competitive disadvantages of production in the UK. Passions are running high. First swine fever and then foot and mouth. These diseases are highly contagious causing severe distress to the animal and considerable loss to the producer. The diseases entered the UK in 2000 and 2001 and were almost certainly caused by contaminated inputs. In both cases all the farmer's stock will be destroyed, and that will be another hard blow to our live stock industry. 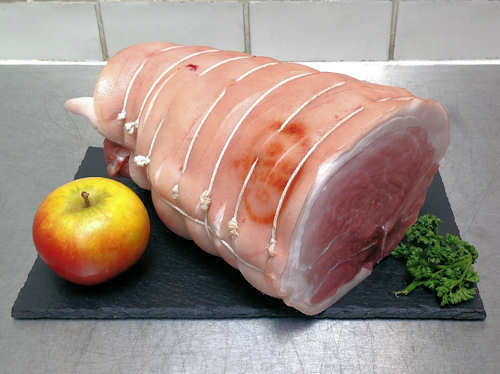 This fine joint of pork contains a stamp on the right which demonstrates that the meat has independently inspected and certified by MLC (Meat and Livestock Commission) and the MHS (Meat Hygiene Service). Pigs are much cleaner than many people imagine and perform a valuable public service by consuming the by-products of the food processing industry; brewer's waste, dairy products and cereals to name but a few. Pigs are also very efficient producers of lean meat and little of the animal is wasted at slaughter. Despite this, pigs still have a poor image in the public domain. No routine use of antibiotics is allowed in the United Kingdom although the practice of including antibiotics continues in many other countries. In the UK producers are concerned to respond to consumer requirements.